Commerce Complete is full-service development, hosting and management for your eCommerce website. Build, run, and grow your eCommerce business with Commerce Guys! With Commerce Complete, we handle the technical heavy lifting behind setting up and maintaining your site so that you can focus on your own products - and driving sales. Commerce Complete combines our Drupal Commerce implementation expertise with the stability and scalability of Platform.sh, our best-in-class hosted Drupal Commerce solution. From advanced site set-up through ongoing technical support and consulting, Commerce Complete ensures that the industry experts are handling all of the technical details, so you can focus on your own brand. What’s included with Commerce Complete? Commerce Guys builds, customizes, and deploys your site, making sure it is tailored to your business goals, powered by a robust back-end and the right administration tools. We host your site in our scalable, development-friendly environment, making certain that it follows best practices and will handle all of your transactions, no matter how much you grow. 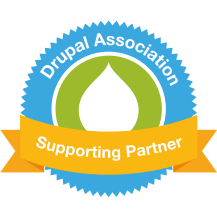 Whether you need a few consulting hours, comprehensive training for your staff, or advanced technical support, Commerce Complete comes with the expertise of the team that knows Drupal Commerce best. Contact us to talk about Commerce Complete today. Fill out an Inquiry form.